Some time ago I received the latest drawing by artist Gerald Wadsworth who specialise in drawing pictures from what could have been right out of the Ian Fleming novels. 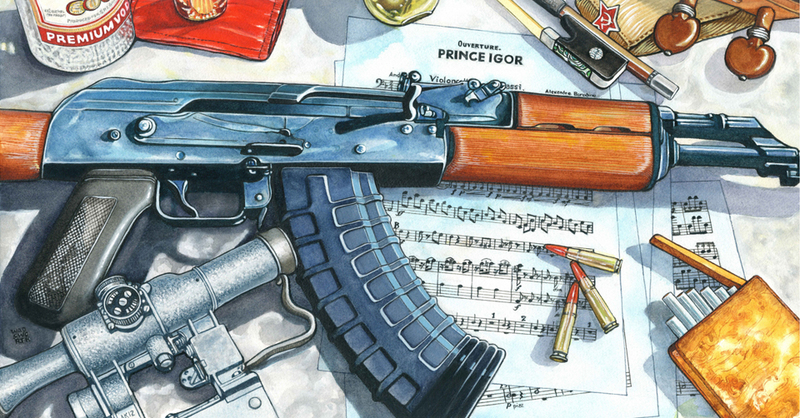 His latest drawing is The Living Daylights drawn in watercolours and looks absolutely amazing. Just look at the wood details on the gun, must have taken ages to create. If you head over to Gerald website you can see all his drawings and even purchase one if you want to. This is by no means a sponsored blog post. 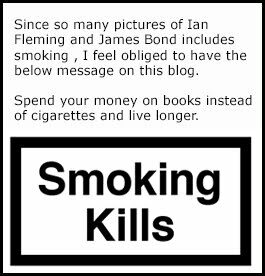 It is just fun to collaborate with other fans who also use their spare time focusing on the work of Ian Fleming. 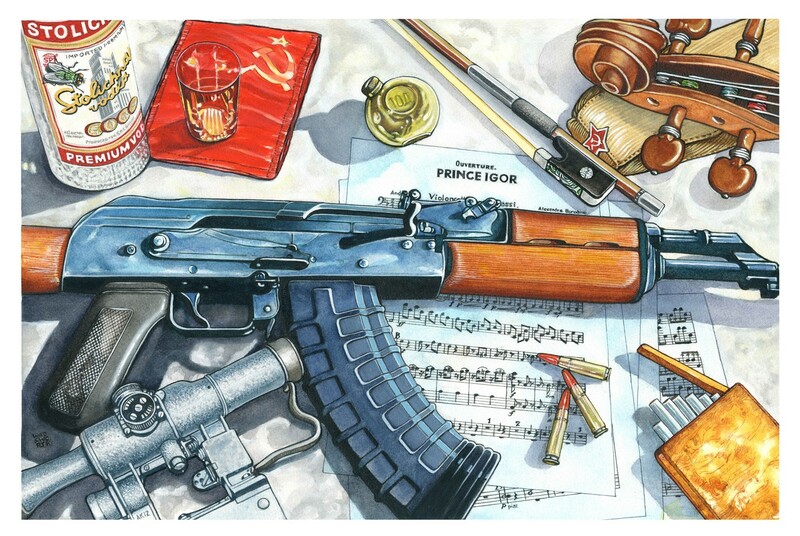 But this drawing has a small interesting detail to me since I did my military duty back in the late 90's. The ammunition is red and in Sweden the red ammunition stood for "training ammo". those "bullets" exploded as soon as they left the barrel. It might be different back in the day or in other countries and that little detail does no harm to a fantastic drawing.